Doug Wright will not soon forget the conflicted feelings he had a year ago today, when the Minnesota Orchestra and its musicians announced the end of an ugly 16-month contract dispute that silenced the hall. Although the end of the lockout was celebrated by orchestra fans, the musicians took a 15 percent cut in pay and benefits. In return, they were guaranteed more involvement in artistic decision-making, and an increase in the number of pure classical concerts in the season. But as relieved as they were to have a deal, the musicians knew it marked only one step toward the orchestra's return to prominence. "There were a lot of hanging questions about where this organization was headed," recalled Wright, a member of the musicians' negotiating committee. 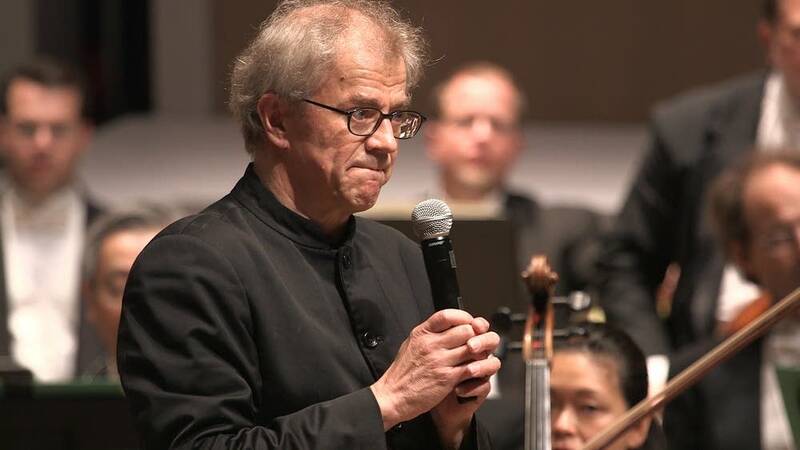 First and foremost: how to fill the gap left by the resignation of acclaimed Music Director Osmo Vanska in frustration after a coveted recording session was postponed indefinitely and Carnegie Hall shows cancelled. There was also the question of whether musicians and management, who had been at each other's throats even before the lockout began, would be able to work together. Looming over the orchestra were huge financial problems that the settlement had only partially fixed. Wright admits it didn't look good last year. But today, he said, the orchestra is again on firm footing. "There was still quite a lot of animosity, as you can imagine." he said. "Fast forward a year and you've got, basically, an organization where all cylinders are clicking." Orchestra Hall is a different place nowadays. Two words never heard during the lockout, "optimism" and "collaboration," are now on everyone's lips. Audiences are back, and the orchestra is playing well. But its new era came at a price for the orchestra's management and board. 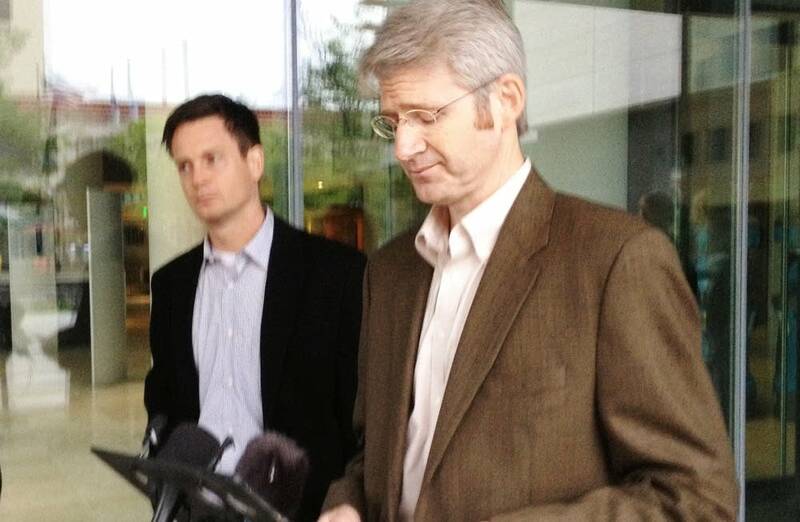 Jon Campbell, board chair during the lockout, and past board chair Richard Davis, who were seen as architects of management's lockout strategy are both gone. President and CEO Michael Henson left at the end of August, and General Manager Bob Neu left shortly after. But many orchestra fans likely were as happy to see them go as they were to see its guiding force return. In April, Vanska agreed to a two-year contract and returned as music director. Vanska said people told him he was crazy to come back. However he felt a loyalty to the musicians and the audience, and thought he couldn't walk away. He's pleased by how things are going now. "I think that the level of the playing is there," he said. "But we need to build up many new things to avoid that kind of disaster which we experienced." Vanska said the changes in the everyday operations, with more musician involvement in artistic decisions, make the organization much more like a European orchestra. "And there is no space for anyone to dictate and stop talking," he said. "That's a huge poison kind of thing for the organization." 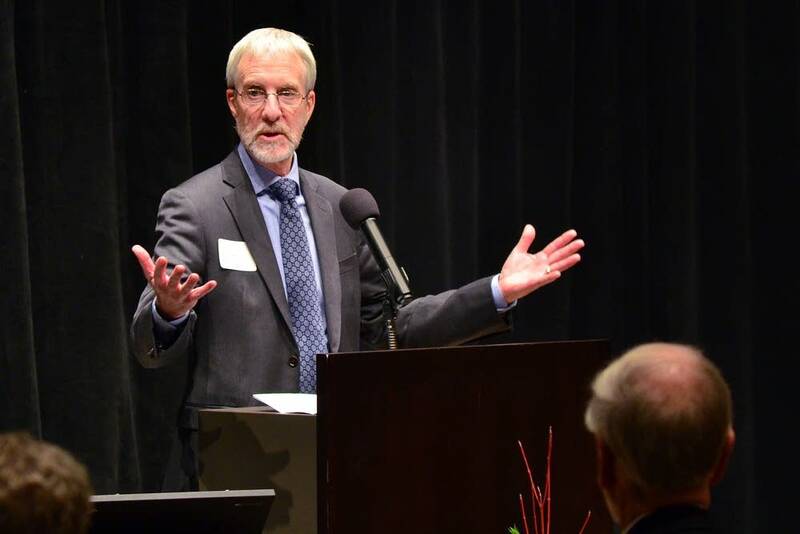 Vanska and the musicians both welcome the leadership of new President and CEO Kevin Smith, and Board Chair Gordy Sprenger, saying their collaborative style has smoothed the orchestra's return. Smith, who led the Minnesota Opera for more than two decades, said he's not alone in holding a changed view of the Minnesota Orchestra as a result of the lockout. "I'd always thought of the Minnesota Orchestra as one of those foundational institutions that was going to be here forever," he said. "I don't think of that any more, and I think that's good." Smith sees the restored orchestra as a powerful yet vulnerable organization, one that still has financial challenges. It posted a $650,000 deficit for its last fiscal year, and Smith anticipates another deficit this year. However Smith said the planning and fundraising in the last six months are getting the organization to a place where it can deal with those issues. "It's going to take a little while for the revenue to catch up with the expenses, but the idea here is to hold the expenses and grow the revenue," he said. "And so far, we are seeing good results on both." 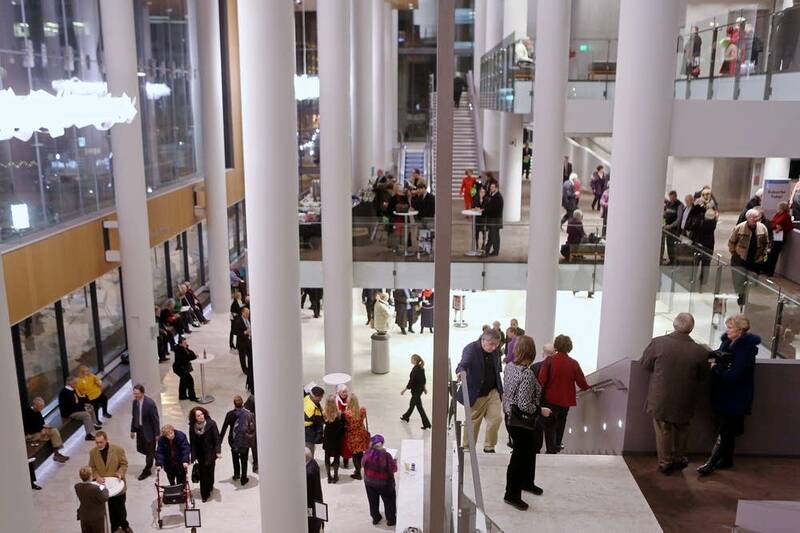 The Minnesota Orchestra is a big organization and changing course takes time. But Smith said while he wants to get plans underway, it's important to leave opportunities for spontaneity. "Even a large organization such as this, and a complex one, can be agile, can be flexible, and can move quickly" he said. "And I think you will see some of that, and I think you need to see some of that." 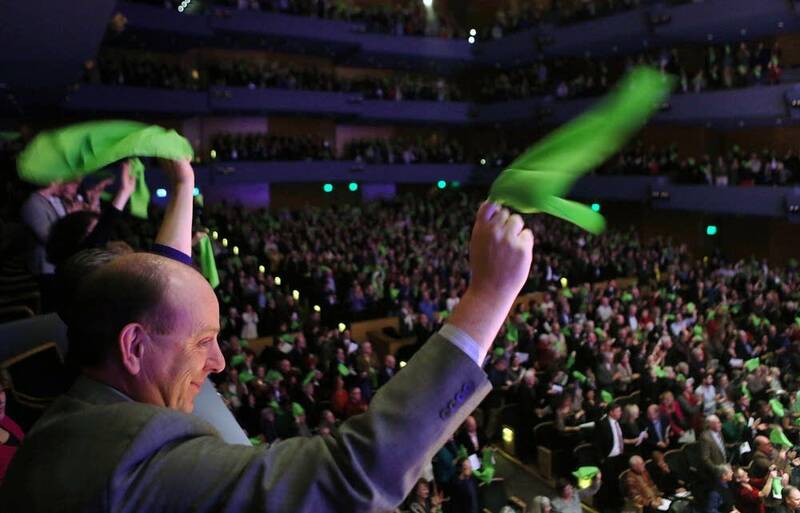 Like all other orchestras, Minnesota has the ongoing challenge of maintaining and growing its audience. There is a loyal core of subscribers, and the dispute produced a wellspring of goodwill towards the organization. Many say that's just a beginning. "We have to find a new way to tell people where we are, what we are doing, and to take care that we are doing those things that people are willing to hear from us," Vanska said. The contract signed a year ago allows the orchestra to experiment with performances, possibly out in the community. Vanska, Smith and the musicians are brainstorming how to use that flexibility to best effect. Vanska has always said the three elements of success for an orchestra are great concerts, recording projects, and touring. With the announcement Monday of a resumption of the Minnesota Orchestra's Grammy-winning recordings of the Sibelius Symphonies, Vanska has two of the three. And the third is on its way. Principal Cellist Tony Ross, who chairs the orchestra's artistic advisory committee, said he can't reveal details, but there are plans in the works for taking the band on the road. "The Minnesota Orchestra with Osmo Vanska conducting is a commodity that is wanted all over the planet right now," he said. There has been one other fundamental change: the orchestra's relationship with its audience. "Unlock the music!" was just one of the chants heard outside the darkened Orchestra Hall during the dispute, which produced audience advocacy groups who argued the orchestra belonged to everyone. Save Our Symphony Minnesota and Orchestrate Excellence pushed for a settlement, and for a place at the Minnesota Orchestra table. "Perceived centers of power were discovered to be maybe not so powerful," SOS Minnesota Chair Mariellen Jacobson said. Jacobson said the group is now included in discussions on how to promote the orchestra and its work. However, she said the orchestra needs to be more transparent on its governance and decision making, and her group will keep pushing for that. The Minnesota Orchestra lockout drew international attention. At a time when many orchestras are facing their own contract challenges, all are eager to avoid what happened in Minnesota. For Vanska that's an important lesson to share. "So I am happy if the Minnesota Orchestra's example is showing the other orchestras, no, this is not the way, this is wrong," he said. 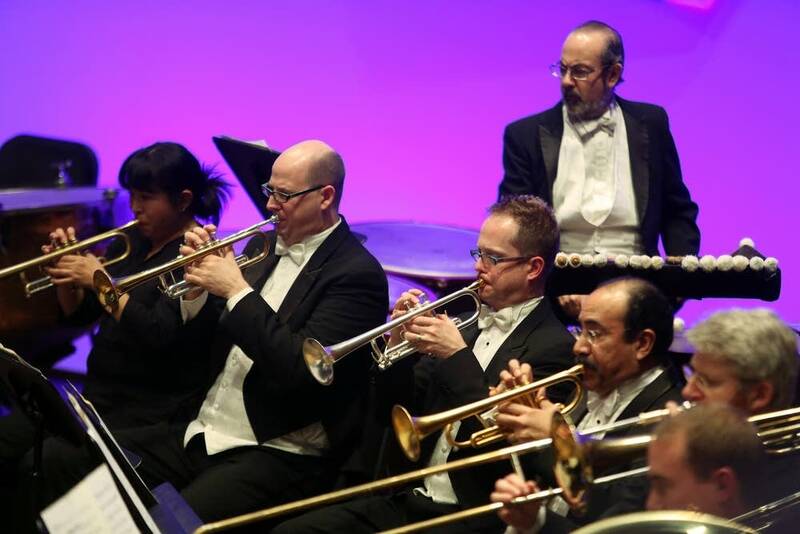 However, members of unions in other cities are still asking how the Minnesota Orchestra is doing, said Brad Eggan, president of the Twin Cities Musicians Union. He said the lockout was unprecedented, but also calls the outcome miraculous. "The management and musicians of this orchestra are on an extremely healthy and productive path right now," Eggan said. "And I don't know if that would have happened if they hadn't gone through the pains of this lockout and recognized what their common goals were." One thing looming on the horizon is the next round of contract negotiations. Vanska will be halfway through his current contract in May, and the musicians have a little over two years left in their deal. No-one expects a repeat of last time. Sprenger, the board's chair, is pushing for talks sooner rather than later. "We don't want to wait until that contract is up," he said. "We want to begin having discussions this year."